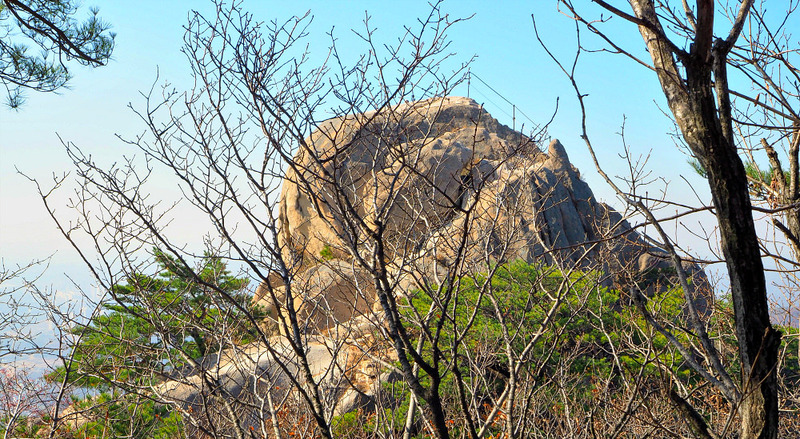 Wonhyobong Peak is one of the mountain peaks in Seoul belonging to the Bukhansan National Park. 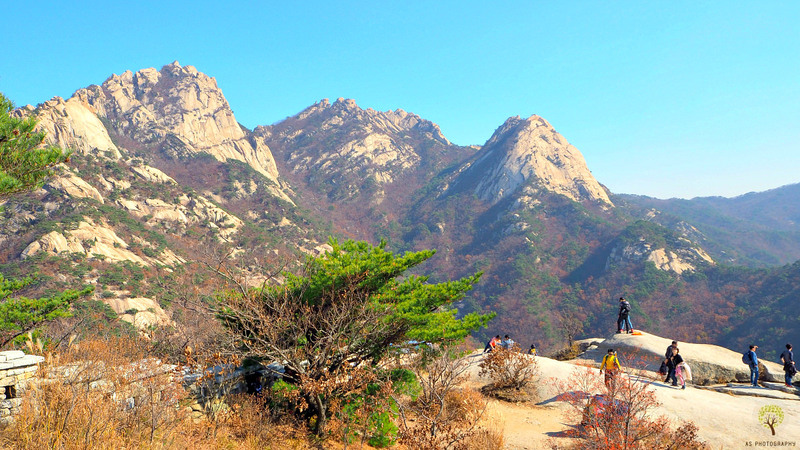 It is a beautiful mountain sitting beside other famous peaks of Bukhansan mountain range. 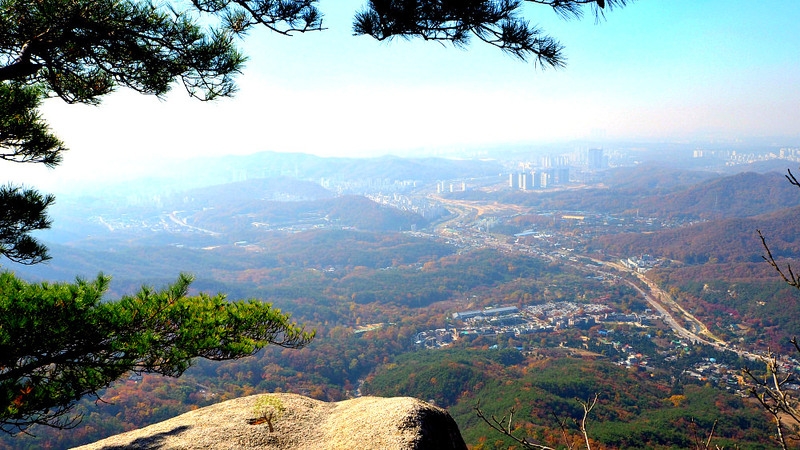 There are three higher peaks of Bukhan Mountain: Baegundae (836.5 meters), Insubong (810.5 meters), and Mangyeongdae (787 meters). Wonhyobong Peak is sitting close to this triumvirate of peaks. After having hiked some areas of Namhan Sanseong UNESCO Park, I am determined to hike all famous mountains of South Korea. So, here I go. Wonhyobong Peak area, I believe, has the nicest space ? it is wide and somehow flat where hikers can actually rest properly. A perfect place to refuel after a steep climb. Consume liquids. Eat your lunch - kimbap or sandwich. Above all, you have a fantastic view of Seoul City’s skyline and the breathtaking panorama from your vantage point of Seoul and the surrounding areas. In fact, you have a distant view of North Korea’s mountains. 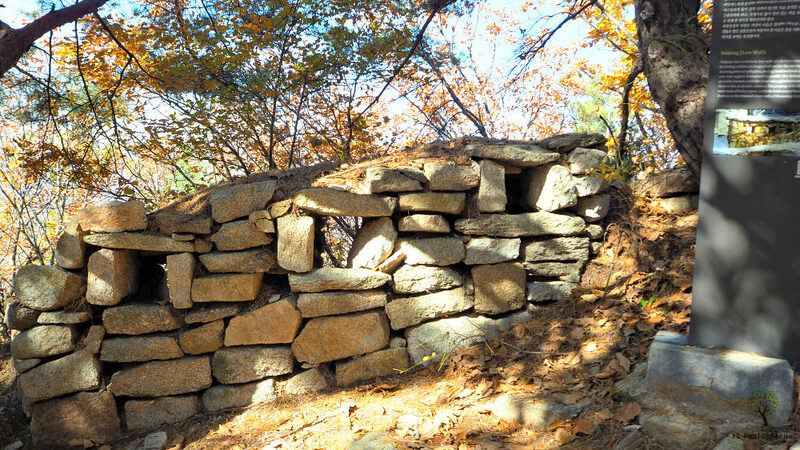 Bukhansan Seong-rang-ji - Seong-rang was a guard post within the fortress as well as a shelter for soldiers. There were 143 seong-rang in the Bukhansanseong. 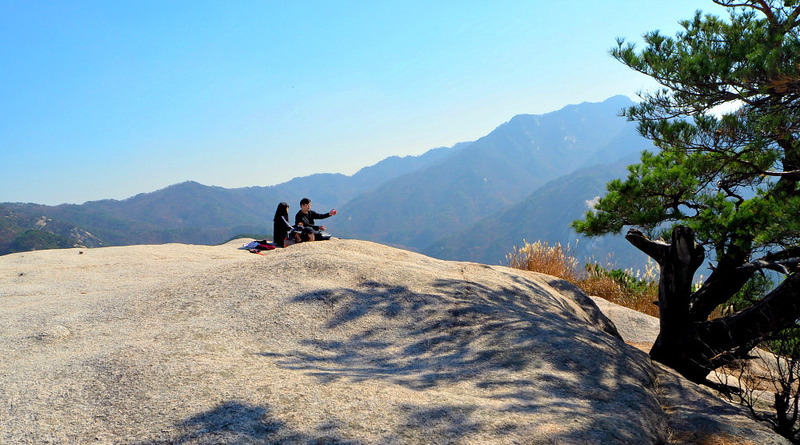 Wonhyobong Peak is made up of thousand-year-old granite stones spreading on top of it. On your West you will see stone parapets (walls) which were used as protection from invaders. You can still see the walls, but most of them have been renovated. Of course, you will see greens - pine trees everywhere. However, at this season (I hiked in November), you will see less green but more technique colors. You will see, I mean I saw reddish Maple leaves, and other trees’ leaves of yellowish, pinkish, light brown, brownish, and more colors. So, you will see various colors spread all over the mountains you are facing. Some mountains are simply whitish due to the bare rocks which made up most of them. In the distance, they look as if they are covered with snow. But it is not winter season yet - just almost there! I replenished my energy. Had sandwich, cheese, milk coffee, and water packed inside my solid backpack. Ready to take the longer route back to the entrance. This hike is not for everyone. Sorry to say that. But it is quite possible for anybody who is willing. In fact, I heard kids (around 8 to 10 years old) calling their ‘halmonis’ (grandmas) to come over. What? Did I hear that right? Grandmas? Ahh, yes! They are grandmas alright, but they are only in their early 50s and almost 60s. Right, Koreans are avid mountain hikers. Some do this activity almost every day. Most of them hike almost every weekend. This is one of their stress-relievers and health-sustainers. At times, you will hear ‘ajussis’ (somewhat older and married men) shouting to the top of their lungs as soon as they reach the summit. That is how they release stress and other negativities! So, is Wonhyobong Peak for everyone? I should say that although this is a hard hike, you can bring kids from age 9 or above. But you need to watch them and guide them well. The stones that have been piled up to form like steps make it easier for hikers to climb up. However, still, the not-so-physically fit would find it difficult to accomplish. 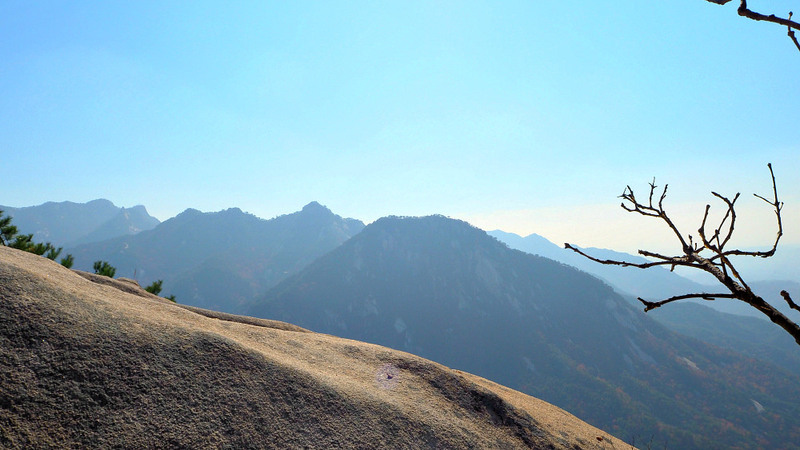 Koreans and foreigners (maybe cats) found the summit of the Bukhansan totally incredible. I found that views from the top of Wonhyobong are surprisingly amazing. You are surrounded by a beautiful panorama. Beautiful and colorful mountains. Rocks of various shapes. I feel I am part of nature. I feel I belong with them. In other words, it was an emotionally rewarding feeling. I felt as if I was lifted above the ground for a few hours leaving behind my problems (Who does not have any?) in the real world. The mountain provided me with emotional release. Probably as a result of feeling excited and free. I thought I conquered something difficult. Not everybody can do it. Although some would want to do it, but cannot due to some reasons. So, aside from emotional and feeling having achieved something, you will also experience physical pains. Of course, you are moving almost all your muscles to reach the summit. I believe this is one of the reasons why I hike mountains. Probably similar reason why others do it. For health reasons. 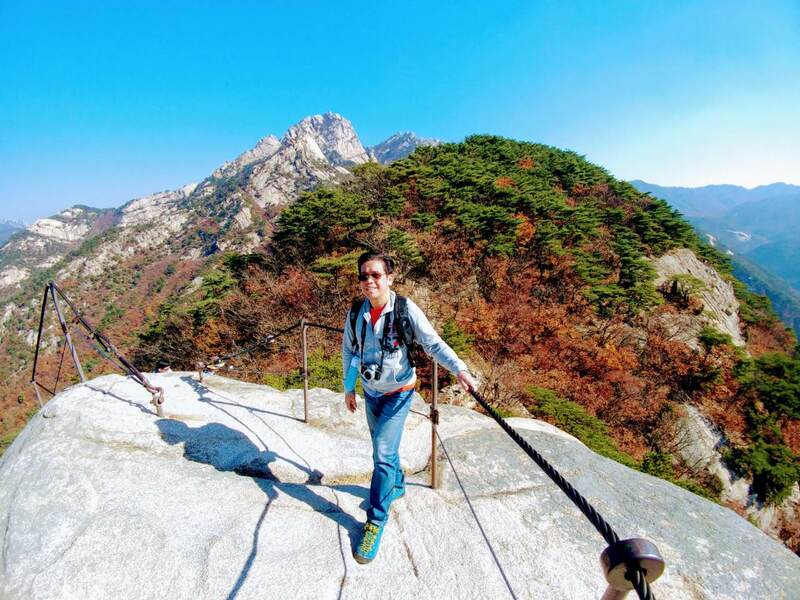 Many roads lead to Wonhyobong Peak and Baegundae Peak. However, there is one main entrance or trailhead leading to the peaks. You can start from the place where anything you might need are available (for sale). Get your supplies if you have not prepared yet. Know that nothing is available on top of the mountains. Take a subway that takes you to Gupabal Station. Then come out from Exit 1, take a U-turn to your left and find the Bus Stop (about 25 feet away from the subway station). Take either of the two buses: numbers 43 or 704. 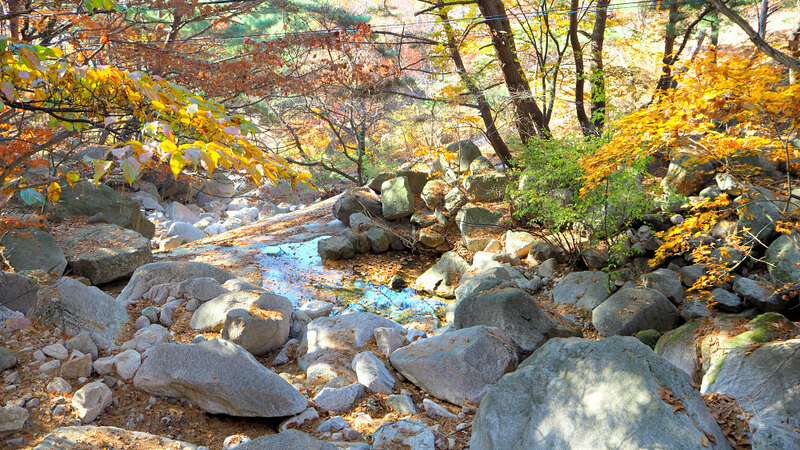 It will bring you near the entrance of Bukhansan National Park. The bus makes 6 stops before you reach Bukhansanseong (Bukhan Fortress) Bus Stop. The bus automatically announces each stop both in English and Korean languages. 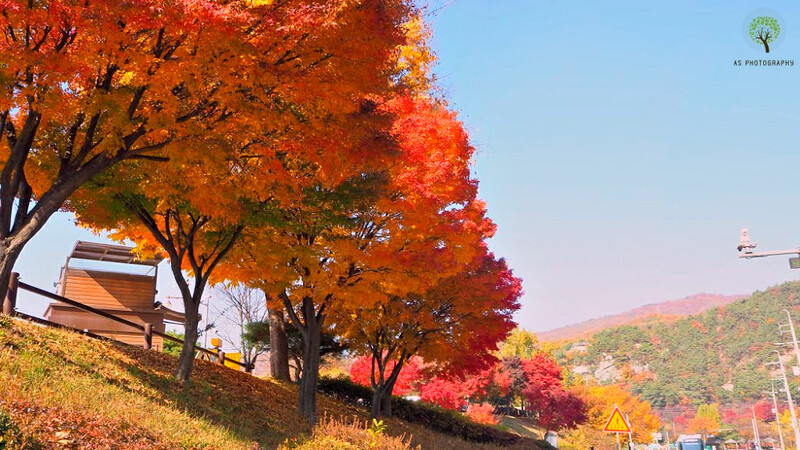 After getting off from the bus (#34 or 704), you need to turn right and walk up towards Bukhansan National Park’s main entrance, which is around a hundred meters. Simply follow other backpackers or hikers (they usually wear colorful outfits and with complete hiking gears! ), and you won’t miss your direction. Continue until you see the wide wooden signboard carved with the park’s name. 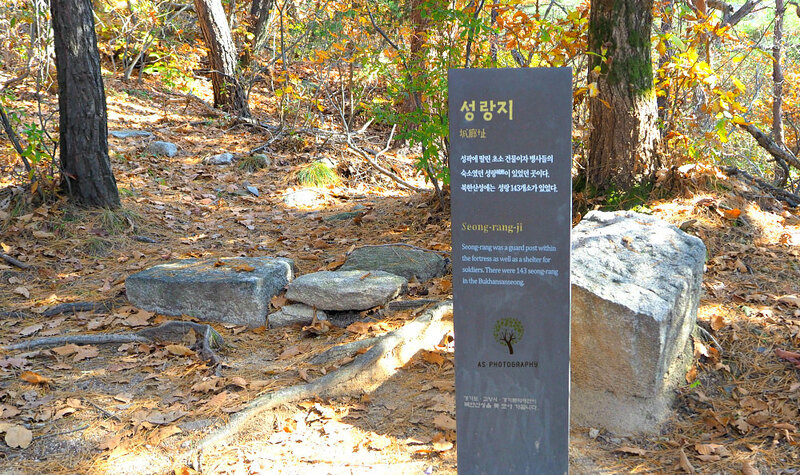 As you proceed inside, you will find more maps and signs pointing towards various trails including for Wonhyobong Peak and Baegundae Peak. 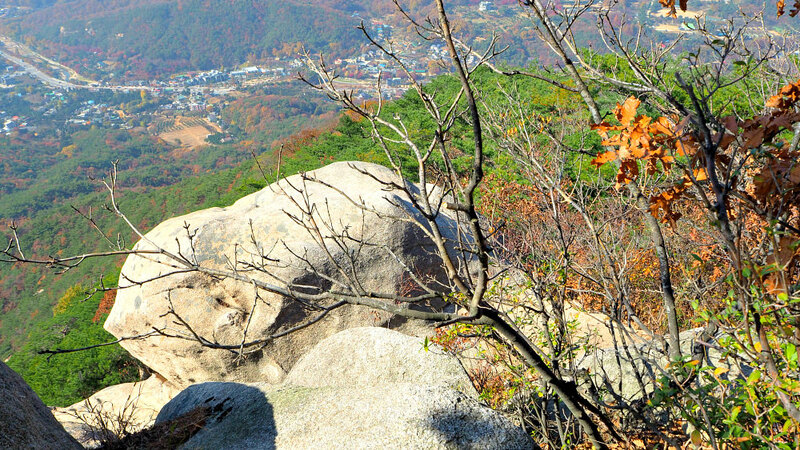 TIP: From this point, Wonhyobong Peak is about 2 km while Baegundae is about 4 km. There are two trails to return to where you got off from the Gupabal Subway. First, after conquering Wonhyobong Peak, just retrace your trail and you will find your way faster and easier. Yes, getting down is a lot easier, as you know, than going up (against the gravity). This route is shorter than the second one. I suggest you take this if this is your first hike with this difficulty level. 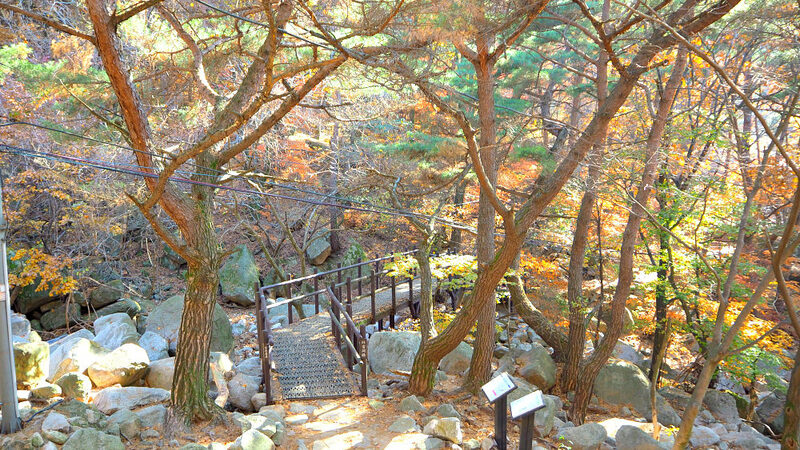 The second trail (to return to the entrance) is to continue moving down the direction of Baegundae Peak. 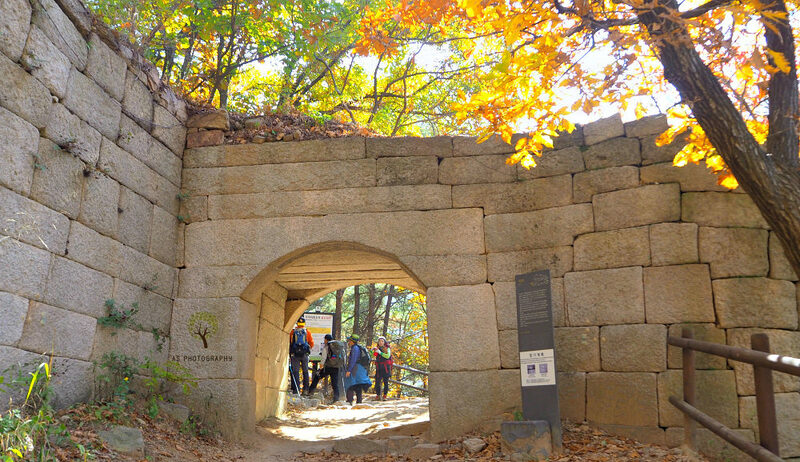 As you descend, you will find a gate where you need to turn to your right for another descending hike (passing through a temple nearby) until you reach a crossroad: for Baegundae and your way back to the main entrance of Bukhansan National Park. The second trail is much longer than the first one. But it is great if you want to see a bit more of the mountain’s amazing features - streams, rock formations, trees, boulders, more colorful leaves, etc. Continue your descent until you reach Buri Temple with a parking area. 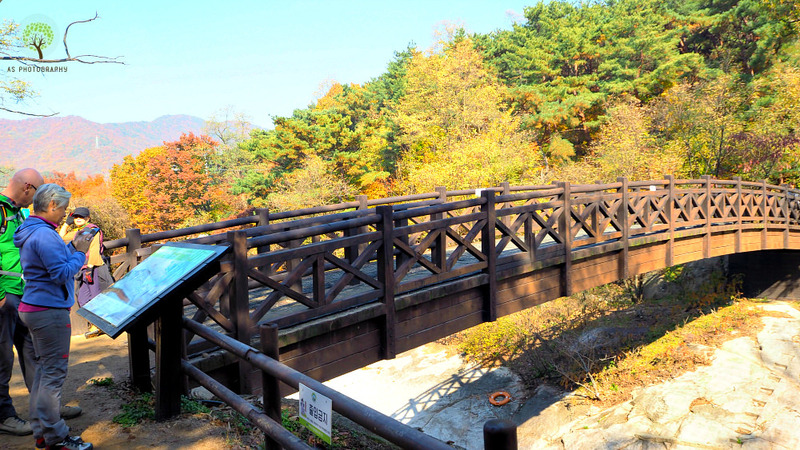 Proceed and cross the bridge (Saemaeul Bridge) and follow the road until you reach back to where you started. Walking this road will take around 20 minutes. It is a nice walk in the middle of nature on a paved road passing through another mountain gate, a temple, and finally back to the park’s entrance area. 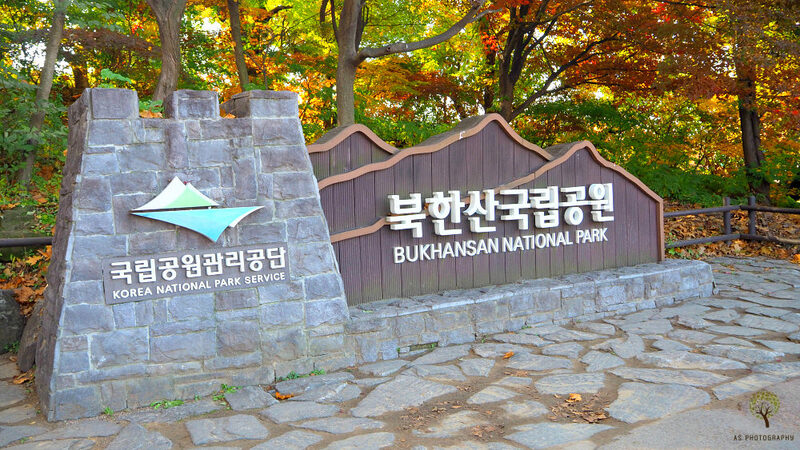 FREE entrance to Bukhansan National Park. It means that you can hike anywhere (the non-restricted areas or trails) without any fees unlike in some UNESCO sites in the country. The government spends money to maintain the trails and for the upkeep of facilities within the park including some washrooms, emergency facilities, and others. In Case of Emergency: call 119. Usually, there are points where the emergency crew prefers to treat or pick people encountering problems while hiking. The points have poles with emergency numbers, distance and height of your position (or coordinates). Do not hike during peak seasons or weekends. However, if you love the crowd then go ahead. You will meet new friends. They could become your life-long friends! 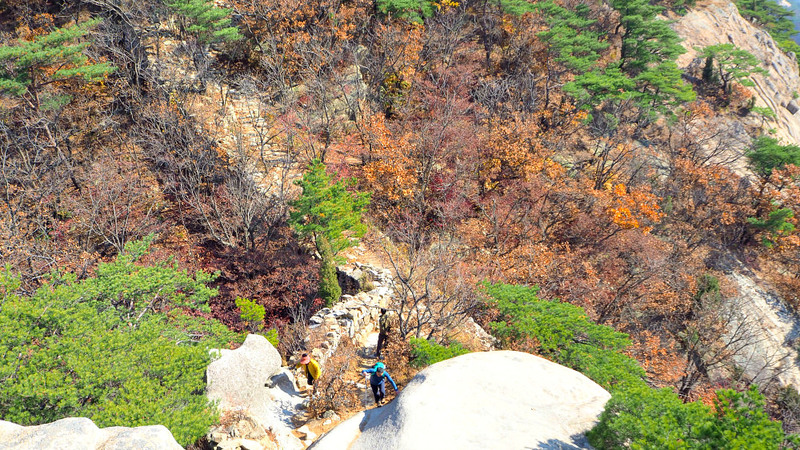 It could take around 2 or 2 and a half hours to complete your hike to and back from Wonhyobong Peak. That is if you only go up and come back down after some minutes of break. Surely, you won’t miss taking photos of the picturesque sights on the top and keep them as one of your achievements in life. Wear proper shoes, preferably mountain hiking shoes or boots. Some people wear ordinary shoes, but certainly no hiking sandals. You need shoes that cover your feet to protect them from sharp rocks, tree branches on the ground. Water and liquids. Make sure you have at least two bottles or half liter of water (or other sweat replenishing drinks). I also brought a bottle of coffee with me ^^. Food and Snacks. You can purchase (or eat before hiking!) food at the restaurants, food stalls, or shops near the entrance of the park. Of course, you can pack your own food. There is no food along the trails. Do not go with an empty stomach. Have a proper breakfast when you decide to hike (a car cannot run without fuel or stored energy). The activity will really burn down your calories (up to 2,000 if you spend around 5 hours hiking). Options: You can bring an umbrella, scarf, walking stick, hat, sunblock. I suggest you wear sunglasses as it will not only protect your eyes from direct sunlight but also from anything that could hurt your eyes (such as tree branches or leaves, insects flying, etc.). Camera (or phone with a good camera). Yes, you don’t want to miss updating your friends on Facebook or Instagram, right? Besides, it is good to keep a good memory of his hike. 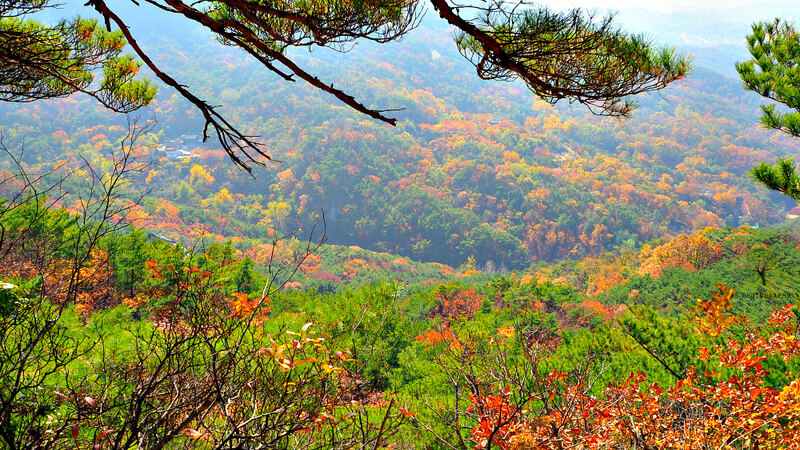 Sometimes, Bukhansan National Park is restricted due to seasonal fires and dangers, especially in February and May, and November to December. Thanks for reading and hope this is useful. Please, ‘like’ or ‘share’ if this answers your questions.